Now, Indians too can get their credit score online! This is something I had been waiting for – getting to know your credit score online. In the west, it is really really easy. There are hundreds of websites offering your credit score. Many times your bank keeps a track of your credit score and shows it you online along with the fluctuations that have happened in your score. Now before we go into details, for the people who are unaware, let me tell you what is a “Credit Score” and how it plays a very important role in your “Financial Standing”. A credit score is a number based on a statistical analysis of a person’s credit history (timeliness in repayments, extent of borrowing and the extent to which borrowings are unsecured), to represent the creditworthiness of that person. 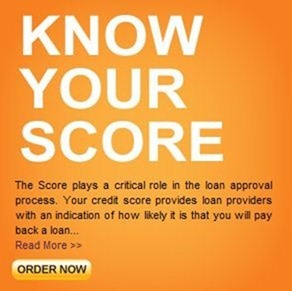 A credit score is primarily based on this information typically sourced from credit bureaus such as CIBIL in India. In India credit rating did not happen until a just a couple of years back, but now many agencies have started using Credit Scores as their primary source to find credit worthiness of an Individual! In India, getting to know your Credit Score was relatively difficult till now, however, it looks like Indians will soon be able to know their credit score with just a few clicks and Rs. 450! According to ToI article, Credit Information Bureau of India (CIBIL) will make Cibil Transunion score available online! Individuals will have to login to www.cibil.com and fill in the online request form and make a payment through either card or online banking. The report is released after the borrower identifies himself by answering three questions based on his credit history. If you are in the market trying to get a loan, first finding your credit score would be the best step you can take. If the score is not good, you can increase it by clearing your outstanding and defaulted payments, which will up your credit rating! A Credit Score has a scale from 300 to 800, with 800 being the best credit rating you can have while 300 being the worst. Any score above 750 is considered excellent and most agencies will flock you to give loans! Google Bus Transit extends to Navi Mumbai, Kalyan & Thane! Where are interest rates in India headed? Positive credit history helps in financial transaction and it work as feedback & shopping behavior of consumer. Most of our lives are controlled by this term ‘credit’, but hardly some of us are aware about how it works, and how this number is calculated. Did you know that closing an account (any account) can hurt your score, sometimes adversely? It doesn’t really make much sense if you think logically. Closing credit accounts means we are trying to get your debts reduced by not using it further. But they mark our score negatively. Does this make sense? Yes the credit History will be required so banks can really know who they are lending money to and even giving credit cards. The banks should also give good facilities to the people who really use credit card well and do timely payments.